162 runs off 62 balls! Hazratullah Zazai finally came to the party as Afghanistan wrapped up the series with a game to play, the southpaw smashing the Irish bowlers to all corners in what was one for the history books. On Sunday, Ireland will walk out for the third T20I with nothing but pride to play for after being outplayed in the previous two matches. Paul Stirling did put up a fight but against the likes of Rashid Khan and Mujeeb ur Rahman, 278 was always going to be difficult to chase down. With the same venue playing host to the third T20I as well, another high scoring game is on the cards. With the series wrapped up, the Afghans could field the likes of Zahir Khan and Sayed Shirzad instead of Fareed Malik and Mujeeb ur Rahman to give them a taste of international cricket. Usman Ghani complemented Zazai with a well-paced fifty at the top of the order, which should see him open once again. Rashid Khan is set to spearhead the bowling line-up with his four overs potentially determining the outcome of the game. Possible XI: Zazai, Ghani, Shafiq (WK), Afghan(C), Shenwari, Nabi, Zadran, Rashid, Janat, Mujeeb/Zahir, Shirzad. The Irish were lackluster with the ball in hand, apparently out of ideas to counter Zazai's aggression. Better performances are expected from the likes of Peter Chase and Boyd Rankin if they are to even come close to competing against the Afghans. George Dockrell could be given the night off after proving expensive in the second T20I, with Andy McBrine waiting to play his first match of the series. Possible XI: Stirling (C), Kevin, Balbirnie, Tucker, Getkate, Simi, Poynter(WK), Chase, Dockrell/McBrine, Rankin and Little. Wicket-keeper: Both Stuart Poynter and Shafiqullah Shafiq are capable of delivering a few lusty blows, making them viable picks for the fantasy side. Shafiqullah's glove work could turn the tide in his favour in spite of Poynter's superior batting prowess. Batsmen: Paul Stirling and Hazratullah Zazai are must have players in the side with their performances in the previous T20I justifying their selections. The likes of Ashgar Afghan and Andy Balbirnie are also great options who provide stability in the middle order. All-rounders: Mohammad Nabi has proven his credentials in almost all of the global T20 competitions, rendering him an invaluable asset with his all-round skills. Simi Singh and Shane Getkate are viable options as well, with Karim Janat also available to slot in. Bowlers: Rashid Khan and Mujeeb-ur-Rahman rank amongst the best bowlers in the format and are must-haves in the team. After a debacle in the previous match, much is expected of Joshua Little and Peter Chase, who were impressive in the first match. 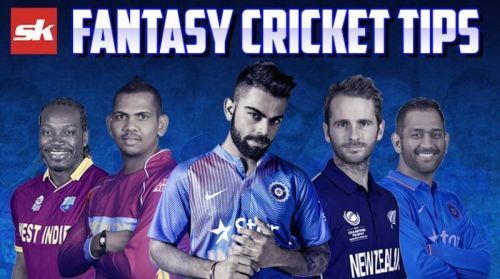 They are bound to pick up a few wickets as well to add more points to the fantasy tally. Captain: Hazratullah Zazai's exploits in the previous T20I simply cannot be ignored in the discussion for captain. The likes of Mohammad Nabi and Paul Stirling are also in the running with their abilities already on show in the series.